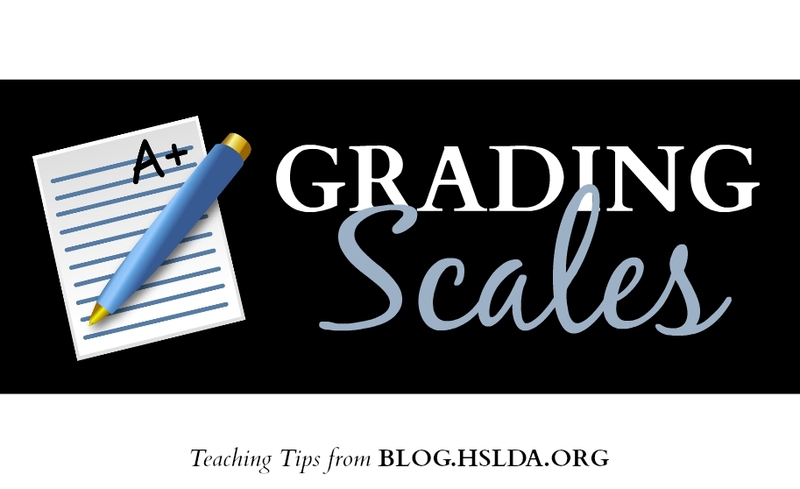 Homeschool parents often have questions relating to grading scales. What grading scale should I use? Do I show a grading scale on my teen’s high school transcript? Here are some suggestions to keep in mind as you sort out your options relating to grading scales. When your children were in elementary or middle school, you may not have given much thought to a formal evaluation of their school work and awarding grades. After all, you knew from teaching and working with them individually how well they understood the material taught to them, and what concepts they needed to work on. However, when a child reaches the high school years, I recommend that the process of evaluating their retention and understanding of course work becomes more intentional and objective. Final grades are shown on high school transcripts, and your teen’s final grade in a course provides helpful information to others such as college admissions officers who need to make academic assessments of your teen’s ability. View this short video and related links http://www.hslda.org/highschool/videos.asp#diane4 for helpful information as you determine what evaluation tools you will use to grade your teen’s work. You may decide to use tests, quizzes, papers, projects, oral discussions, or any other assessment tool you choose. It’s a good idea to decide on a method of evaluation prior to beginning a course. Share with your teen how you will evaluate his work. It helps your teen stay motivated if he knows that his work in a course will be evaluated, and he will be rewarded with a good grade for taking his school work seriously and doing well. Whatever grading scale you choose for parent-taught courses, use it consistently throughout the high school years. Because many homeschool students take a number of courses from outside instructors (in addition to parent-taught courses), it may be best not to indicate a grading scale on your high school transcript. Outside instructors may each use different scales than the one you’ve chosen, so listing a grading scale on the transcript may be confusing to readers of your transcript. If you are required to provide a grading scale to anyone, then indicate the grading scale you used for parent-taught courses. Remember that teachers all over the country are determining how they will evaluate their students’ work in a course. This evaluation differs from teacher to teacher and from course to course. Although grading is more of an art than a science and is subjective, it is a necessary tool to compare one student to another. In a homeschool setting, you have great freedom – but also great responsibility – to come up with a system for evaluating your teen’s academic skills in each course. Use good judgment and wise discernment as you appraise your teen’s work. Be tough! Make your teen work hard for a good grade, and do your best to determine objective standards to gauge his knowledge of the course material.